Corrie LaVelle has been passionate about art, design and style her entire life. The proof is in the numerous stories her parents will tell any willing ear about her creative formative years. Her childhood was marked with a flair for theatrics, inedible creative food concoctions in the kitchen, a quirky sense of style, and an unabashed passion for the band Menudo. After a lifelong interest the arts, Corrie began to paint full time at the suggestion and mentoring of a fellow artist friend in 2013. Through the encouragement and exploration of various media and techniques as soul therapy, Corrie was given a vehicle for her passion and reclaimed her unorthodox early love of art. What started as a hobby quickly evolved into a shared studio space and gallery in Seattle with three other artists. Finding herself in need of more space, Corrie moved her studio to the vibrant International District of Seattle to work as an Artist in Residence at Seattle Art Source and Plank and Grain. More recently, Corrie has relocated her studio to Magnolia, where she also has a small gallery space. 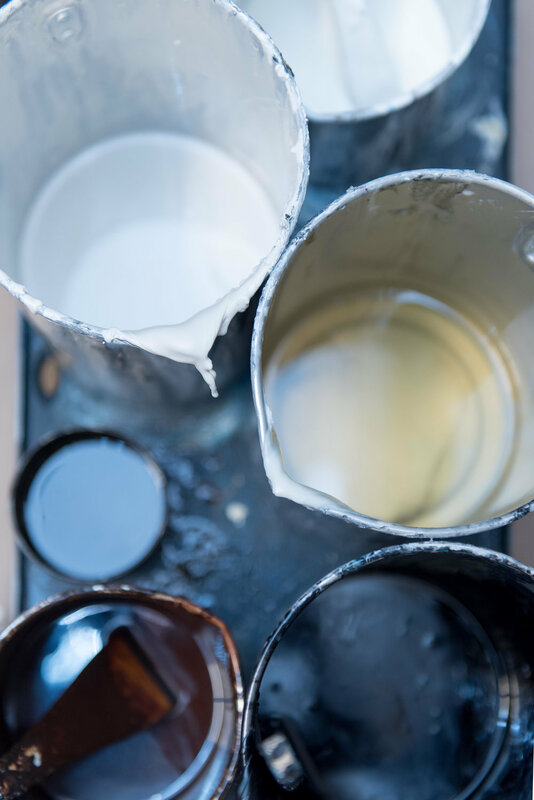 Working mainly in encaustic, Corrie often thinks of the medium as an expression of her personality: fluid, constantly changing, temporary and pliable. About her work, Corrie says, "at the start of each piece I see nothing but a blank canvas. Stroke by stroke, bits of my life begin to appear. Emotions, experiences, thoughts. One by one they start to collect onto the panel, until a story is created. When I'm working on a piece, the exterior of my life blurs and my soul moves into focus. I see myself in every painting. When I finally add heat to the wax, the edges soften, layers are revealed, and I am constantly reminded how beautifully complex life is."